This weekend the JDRF Crop for the Cure started. Sara from Crop Out Diabetes put a lot of work into a way everyone that couldn't go to the crop, could do a hop instead. For a minimum donation of $5 you can do the blog hop, win some awesome blog candy, and try out some challenges! All of the proceeds from this hop go to JDRF. There is a button on the right hand side of my blog where you can donate. Both Sara and I have daughters affected with Type 1 diabetes so this is our way of working toward a cure. Even if you don't have time to do the challenges or even the hop, it would be awesome if you could help out! 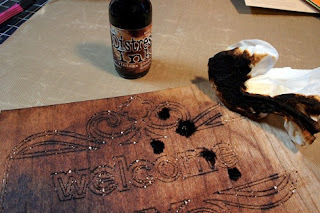 Well the fun weekend Make-the-Cut blog hop is over and went awesome!! 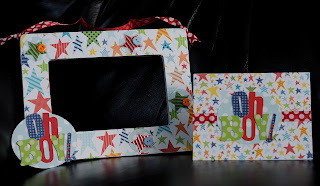 I had a baby shower to go to today and one of my fav things to give is a custom frame! My friend was so excited when she saw I had given her one, she said she was really hoping I had made her one! And of course it is fun for the card to match the frame! How cute is this? The frames are only $1 at Michaels! I painted the sides white. 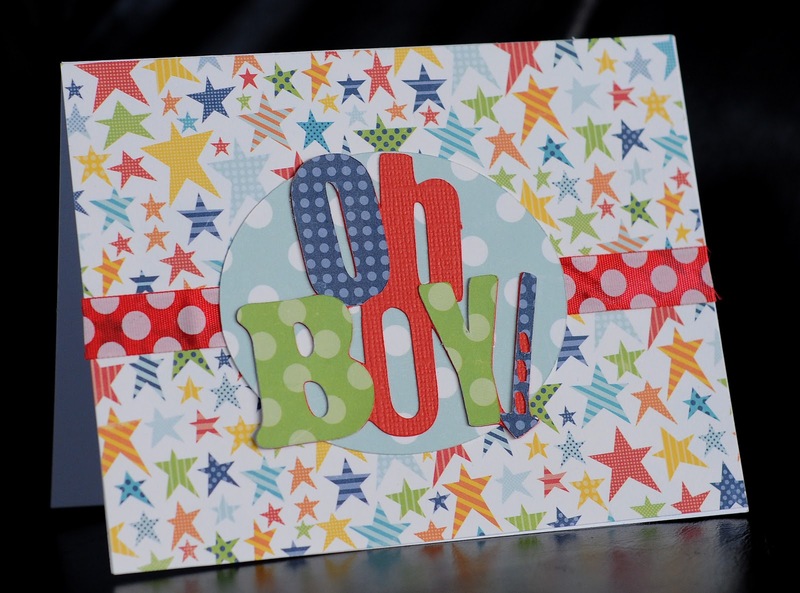 Then I use Mod Podge to adhere the patterned paper, which is Echo Park's boy line! How cute is that paper? 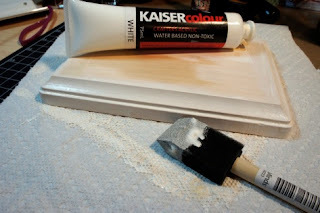 After it dries I sand off any paper that is hanging over the edges. 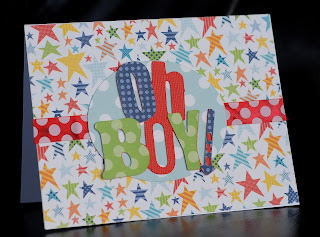 I made the "oh boy" with the Boys Will Be Boys cartridge. I cut the oval 4 times to thicken and stengthen it up. After I glued it to the frame, I flipped it over and added some crystal laquer to the back, this prevents it from bending. 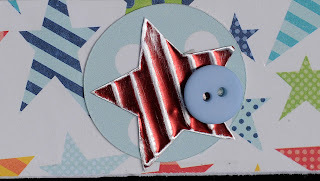 The little stars I made with Design Studio, using rectangles to make the lines in the stars and embossing them with the Chomas Creations embossing kit. See how small they are? Perfect for those little scraps of metal sheets! I cut them out with scissors and added them to the frame with some buttons. 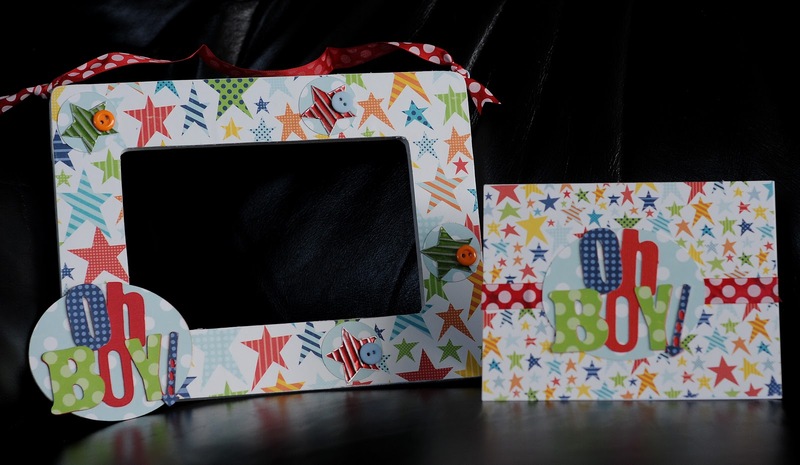 I use screw eyes to hold the ribbon in place, they go into the frame very easily! Make-the-Cut blog hop day #2! If you are looking for the JDRF Hop for the Cure, scroll down! 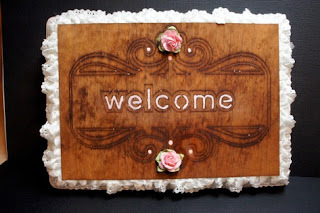 Welcome back for the Make-the-Cut blog hop! I got another project done, with another download for you! And if you keep reading, there is more! 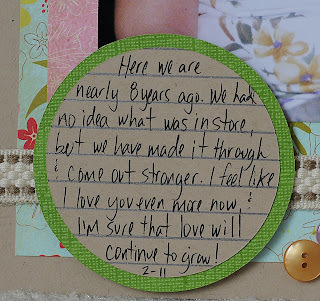 I ran across this photo going through some pics, and I knew it was perfect for this love page I had designed in MTC. Using my Wacom tablet I drew the hearts, and the word love! So this is really my first design, design!!! You can download the love file here... love file As you can see when you download the file, it is a mirror image. 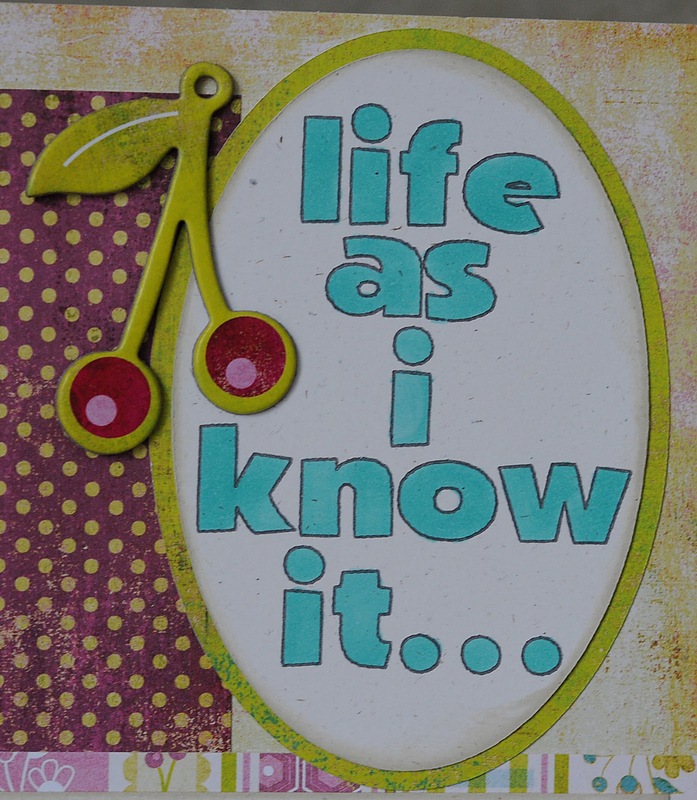 That is because I used the Chomas Creations embossing kit with MTC and the Cricut to get this design, and when you emboss, if you want the raised image facing up, you need to use mirror image. If you would rather draw the love file, you can always mirror it back by clicking on the image, clicking on shape magic, and clicking on mirror. For this page I used the Chomas Creations mini gel pen holder for the title as well. I drew it with MTC and the Cricut, then used the shadow function to cut around it. I then cut some extra hearts and used glitter ont them, and added everything to the page. Those are my lil ones almost 4 years ago, Valentine's Day. Those days were a lot harder with 2 so close in age, but we got by! I'm giving you a 2nd chance to leave a comment on this post to win the Chomas Creations mini gel pen holder and a 10 pack of gel pens! The rules are simple, only one comment per person! Following is not required, but why not follow? hehe **Very important! I do need a way to contact you! I will leave the winners name on my blog as well after I pick it on Sunday, and you have a week to get back to me, or I will pick another winner. Don't forget I do have an awesome sale going on this weekend! You can get the Chomas Creations embossing kit, mini gel pen holder with all 20 mini gel pens, mini Sharpie holder and micro Sharpie holder with a micro Sharpie all for $100 shipped in the US! And all of that for $105 shipped outside the US. I also have the Chomas Creations mini gel pen holder with 10 mini gel pens for $27.50 shipped in the US, or with all 20 gel pens for $32.50 shipped in the US (contact me at amyc222@yahoo.com if you are outside the US). 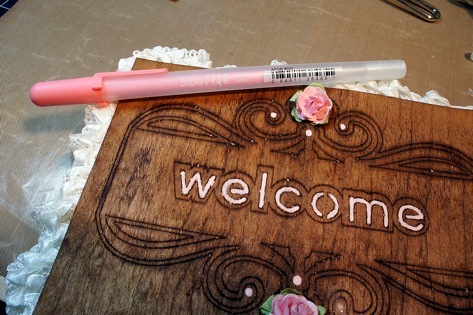 And I've also added a bunch of colors of micro Sharpies to my blog for those interested as well! Next stop on the blog hop (I'm quite the poet!) 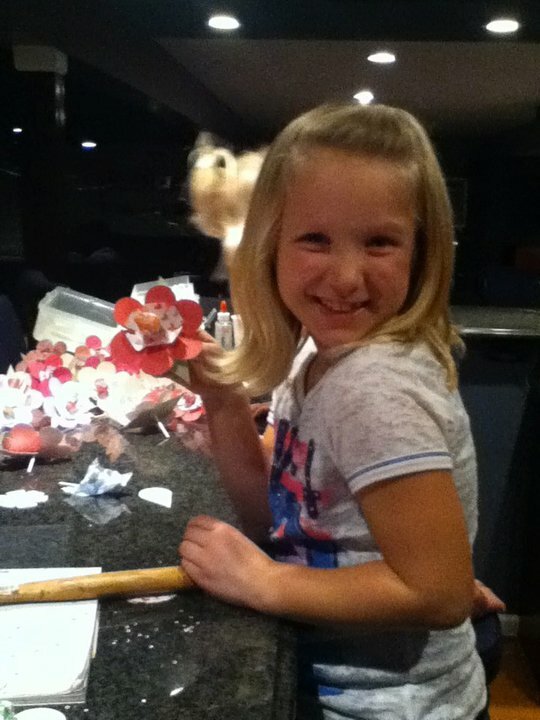 is Rachell's Many Crafts Hop on by and see what she has in store for you! In case you get lost anywhere along the hop, here is a master list of all the blogs in the hop! If you are here for the Make-the-Cut blog hop it is below, BUT this project also uses MTC and I'm asking you come back to read it as it if for a very worthy cause! I'm going to start out this post with why I asked to be part of this hop for a cure blog hop. I have a 16 year old daughter with Type 1 diabetes. She was diagnosed nearly 8 years ago just a few short weeks after I got home from my honeymoon with my husband. I noticed she was looking a little thin, and figured she had a growth spurt. But then other symptoms came into play, she was tired all the time, she was getting up 2-3 times a night because she was thirsty and had to go to the bathroom. So I took her in for a check up, thinking it had to be nothing, but then came the diagnosis. Type 1 diabetes. I was crushed. My daughter the wimp, thinking of her dealing with needles, how would she handle that? Of course she proved to be way tougher then any of us could every imagine! After a few long days at the hospital learning how to check her sugar, give her injections, and learning how to count carbs, we came home to try to do it on our own. Talk about overwhelming! Imagine that? That doesn't include insulin injections, which started out wtih at least 4 a day in the beginning, but now that she is on the pump it is putting in an insulin port every 2-3 days. I thought having an 8 year old with diabetes was tough, but then came the teenage years. UGH! Hormones and diabetes don't mix very well. It makes for lots of highs and lows. I have to have a lot of different rules to protect her. Our most recent scare is her driving. We have to monitor her blood sugars before and during driving. One low sugar and she could be in big trouble behind the wheel. Now for the hop for the cure details! Hello and welcome to the 2011 Hop for a Cure blog hop. We are running this fun crop and hop to raise money for the Juvenile Diabetes Research Foundation. We want to thank you for joining us in the fight to find a cure!!! When: Hop starts Friday, January 28th at 8:00AM and ends on Saturday,February 5th at midnight. Where: The hop starts here at www.cropoutdiabetes.blogspot.com. Follow along the hop to visit the particpating blogs and join in on the challenges. 2. Start at Crop Out Diabetes and follow along the hop. If you get lost each blog will have a list of the participating blogs so that you can get right back in on all the fun! 3. Complete the challenges and take a photo of your completed project. 4. Link a photo of your completed project to the linking tool at the bottom of each corresponding blog hop post by February 5th at midnight. 5. Winners will be chosen randomly using random.org and be posted by February 12th, 2011. **Feel free to leave a comment about this post as the winner for the blog candy will be chosen from the submissions for my challenge! I decided my project for today would be a page on what Taylor's life is like according to her. She is one tough cookie! I'll post her journaling after I share how I did this page! I started this page with my title, life as I know it. 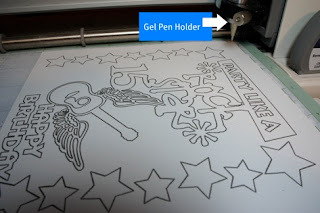 I used the Chomas Creations mini gel pen holder to draw the title using Make-the-Cut. I then cut around the title with an oval. I used the Copic markers to color in the gel pens, and look, no smearing! Imagine all of the things you could draw and then color! 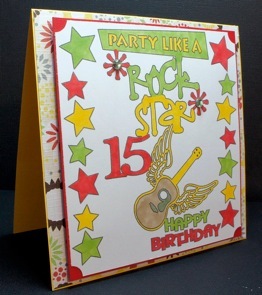 I used Basic Grey patterned papers, brads and chipboard accents to finish the page. This is the journaling in my daughter's words. I'm hoping we can look back on it one day, when there is a cure for diabetes, and thing, wow are we glad that is over! I am 16 and have had type 1 diabetes since I was 8 years old. My diagnosis was a big shock to everyone because there was no history of diabetes in my family, so that made me the first. In the beginning, I thought diabetes was really hard to deal with. I had to constantly keep track of my blood sugar by poking my finger with a needle anywhere from six to ten times a day. With diabetes I have to be careful when playing sports. When I go outside of my normal routine and go on a major bike ride with my family or friends I need to always make sure I look after myself. My blood sugars tend to go really low really fast when I play sports, swim, and do my favorite bike ride with my family. It always seemed like I was sitting on the bench when I played volleyball because my blood sugar decided to go out of whack and I had to take care of it before I could do anything else. And because my blood sugar tends to go low quite a bit, I have to eat snacks when I'm not really hungry, which just makes me feel worse because I tend to get bad stomach aches. Having my blood sugar go low isn't my only problem with diabetes, I tend to go high a lot too. My blood sugars are all over the place and it drives me nuts! Especially when whenever my blood sugar gets too high I always start feeling like crap. I get the chills, my heart beats super fast, I feel really nauseous and like I'm about to throw up. And now that I'm getting older and about to go away to college, I'm not even allowed to move out until I get my blood sugars under control. And believe me, that's going to be a challenge. I've had diabetes for almost 9 years now and still haven't gotten it under control. Plus now that I've got my license I have to check my blood sugar every time I'm about to leave the house. When my blood sugar's too low I can't drive and have to wait until I get my blood sugar gets back to normal before I can go anywhere. Although it's been hard, I've learned to live with diabetes and am happy with the way my life has turned out so far. Taylor is one amazing young lady, she is way stronger then I ever thought she would be. Taylor has diabetes, but diabetes does NOT have Taylor. 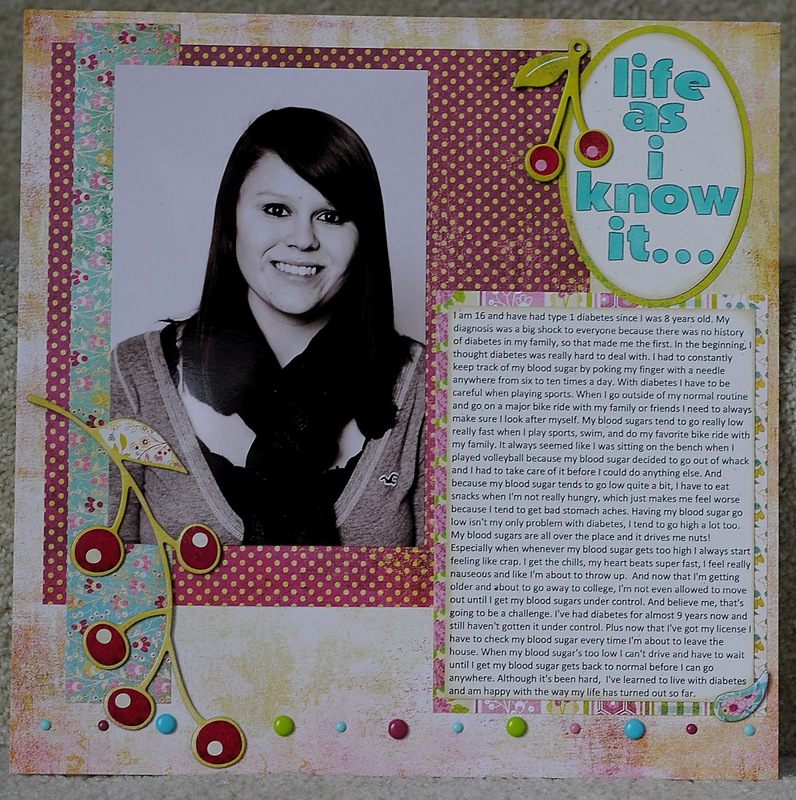 My challenge for you is to make a layout about someone in your life that inspires you! Post it here for a chance to win a Chomas Creations micro Sharpie holder and 3 micro Sharpies in assorted colors. Remember you must donate a minimum of $5 to the JDRF fund to sign up for this blog give away. Feel free to comment on this post as the winner will be chosen from the submissions for my challenge! Enter your submissions by February 5th midnight for a chance to win! I've got lots in store that I've done with MTC and if you read to the end, I have some blog candy to give away! And if you come back tomorrow I will have another project with another download! I've gotten a lot of requests for a video with the journaling circles I do, so I made one! You may need to click on the video to go to youtube as for some reasons the sides get cut off on my blog, but make sure you come back after you watch it! I do use a lot of the journaling circles on my page, so I make a bunch at a time so I can just grab one when I need one! I find my journaling goes so much quicker this way, and if you know me, you know I like to get things done quick! I never spend a lot of time on one page, or one project, hey I've got 4 kids that need scrapbooks, and that I need to take care of, so I try to simplify where I can! Ok, on with my project! Here is one of my journaling circles on my page, along with my journaling! 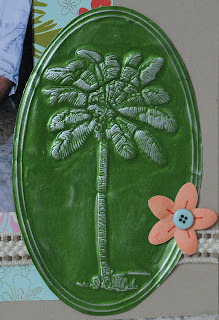 I found this palm tree file online and knew I needed to use it with the Chomas Creations embossing kit and metal sheets! See all those details? You can see each leaf! 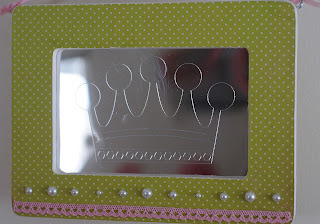 The Chomas Creations embossing kit can emboss even the finest details! To get this look, I found an image online and brought it into MTC and traced it. I then added some of the ovals from the shapes menu in MTC around the palm trees. 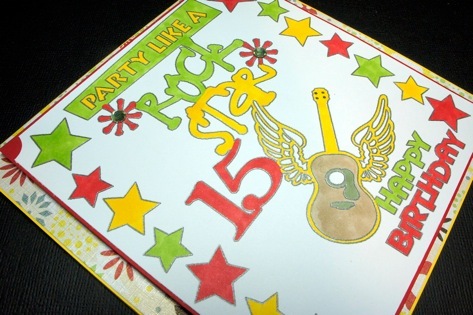 I put my Ten Seconds Studio metal sheet colored side down on my embossing mat, and embossed the design with my pressure on max on the Cricut. After the image was done embossing, I flipped it over and sanded the color of the raised surface to really let the details POP! 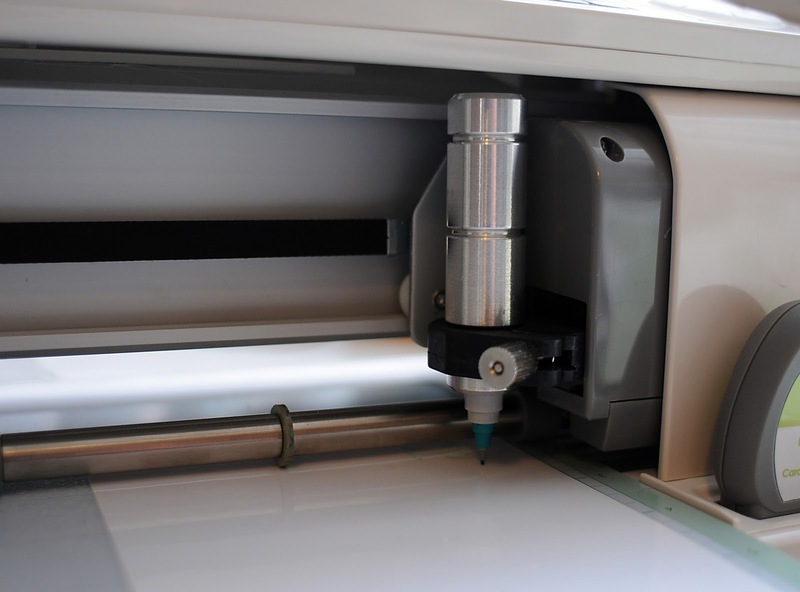 Just think, pretty much any image (black and white seems to work best for tracing in MTC) you can find online, you can bring into MTC to cut, draw, emboss or engrave with your Cricut! One of my favorite parts of MTC is the ability to use any font that I have on my computer to cut, draw, emboss or engrave with my Cricut! That is how I did the title on this page! This is a font on my computer that I used with MTC, and then I welded it together before I cut it. The patterned paper, flowers, buttons and ribbon are all Making Memories. The metal sheet is Ten Seconds Studios. Now for some blog candy!!! Leave a comment on this post below for a chance to win a Chomas Creations mini gel pen holder and 10 pack of assorted Chomas Creations mini gel pens! The rules are simple, only one comment per person! Following is not required, but why not follow? hehe **Very important! I do need a way to contact you! I will leave the winners name on my blog as well after I pick it on Sunday, and you have a week to get back to me, or I will pick another winner. I'm also having some specials on my blog! You can get the Chomas Creations embossing kit, mini gel pen holder with all 20 mini gel pens, mini Sharpie holder and micro Sharpie holder with a micro Sharpie all for $100 shipped in the US! And all of that for $105 shipped outside the US. Don't forget to hop on by tomorrow for another chance to win my bloggity candy and another project with download! Busy blog hop weekend coming up!!! Something that is very near and dear to my heart is diabetes. My 16 year old daughter was diagnosed with Type 1 diabetes when she was just 8 years old. There have been a lot of struggles through the years, all of which have made her, and our whole family stronger. I won't say we have complete control of her diabetes, but diabetes does NOT control her! 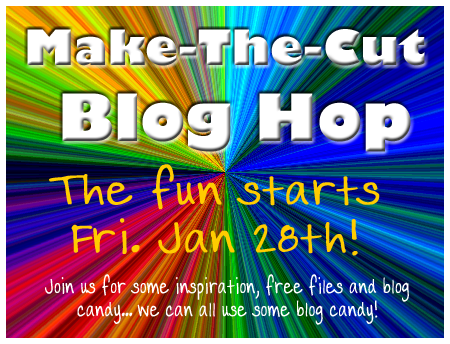 I've joined in on the Crop for a Cure blog hop which starts Friday morning, January 28th at 8 am and ends February 5th. With a donation of at least $5 you can join on on this hop and have the chance of some awesome prizes, and of course the chance to know you made a difference! More details coming up on Friday! 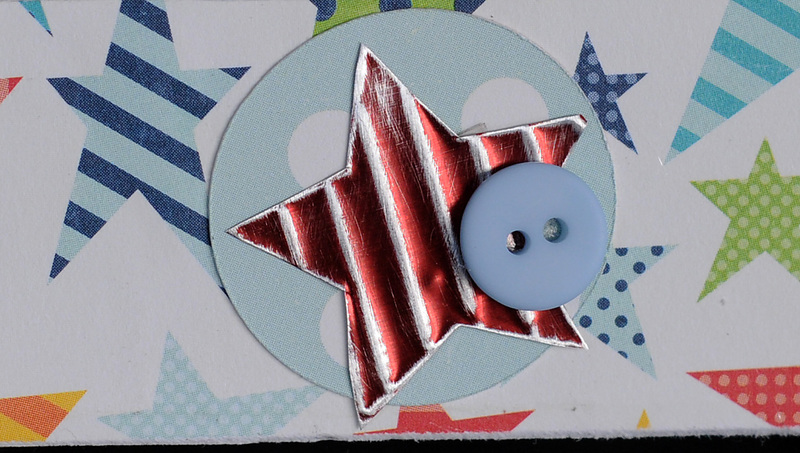 I'm also a part of the Make-the-Cut blog hop! There will be lots of inspiration and files to download as well as blog candy, and the best part is each blog will be doing a project with Make-the-Cut! The blog hop starts Friday at 8 am! So stay tuned for lots of good stuff! 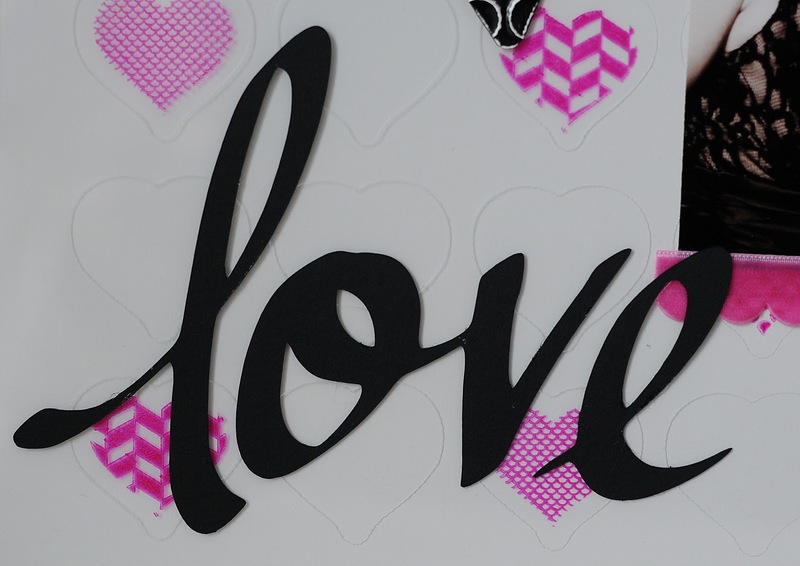 Easy Valentine's with your Cricut! I'm so proud of my sister! 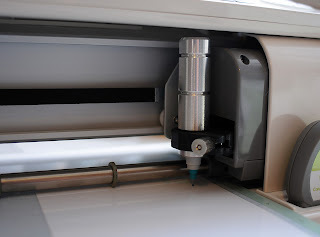 I gave her a Cricut last year, and she is actually using it! 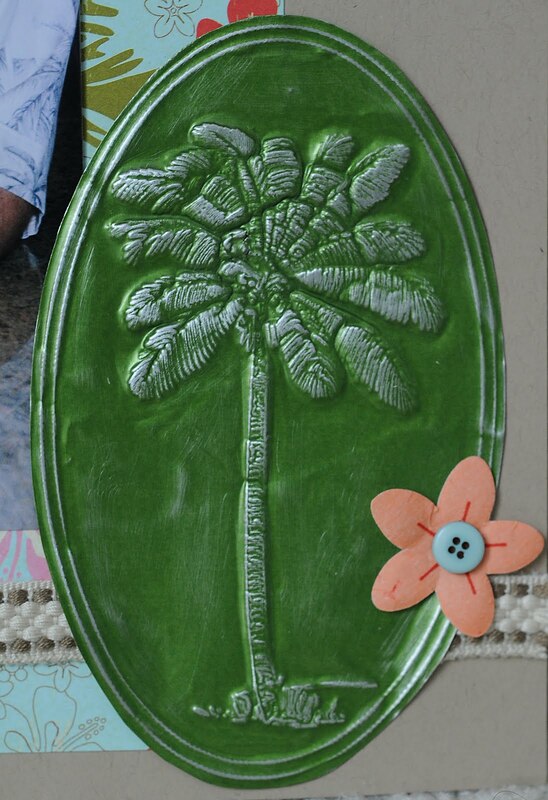 Even if it isn't used to scrapbook, she is using it a lot for crafts for the kids! 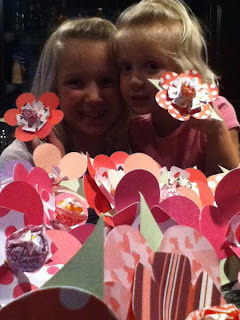 Here are some cute Valentine's Day projects she did with my nieces! I hope they saved one for me! Here are the directions she gave me for those that want to try! ‎3 (2.5") hearts for petals, 1 (3") heart for petal (cut in half), 1 (2.5") flower for center. Poke hole through all pieces and insert sucker. Tape underneath to hold in place. Big things happening right here! So be patient while my blog is being updated! I'm hoping it will be easier to navigate when it is all done! Another Chomas Creations mini gel pen holder project with Maria! Here is a project Maria at Believe Dream Create that she has done with the Chomas Creations mini gel pen holder and the Copic markers. These directions are straight from Maria. Thanks Maria, YOU ROCK! More Fun with Chomas Creations Gel Pen Holder! This is still my all time favorite product made by my friend Amy at Chomas Creations. I love to play with this Gel Pen Holder. This idea came to me the other day when I was using the Engraving Tip on the Wood project I did. I literally stopped in the middle, whipped out my Gel Pen Holder and made this in a matter of minutes. Here is what I did! I picked up some of the 4x6 wood frames from Michael's for $1. I paint the sides, add some patterned paper to the front with Mod Podge, let that dry, trim off the extra patterned paper. Sand down any paper that is hanging over the sides. 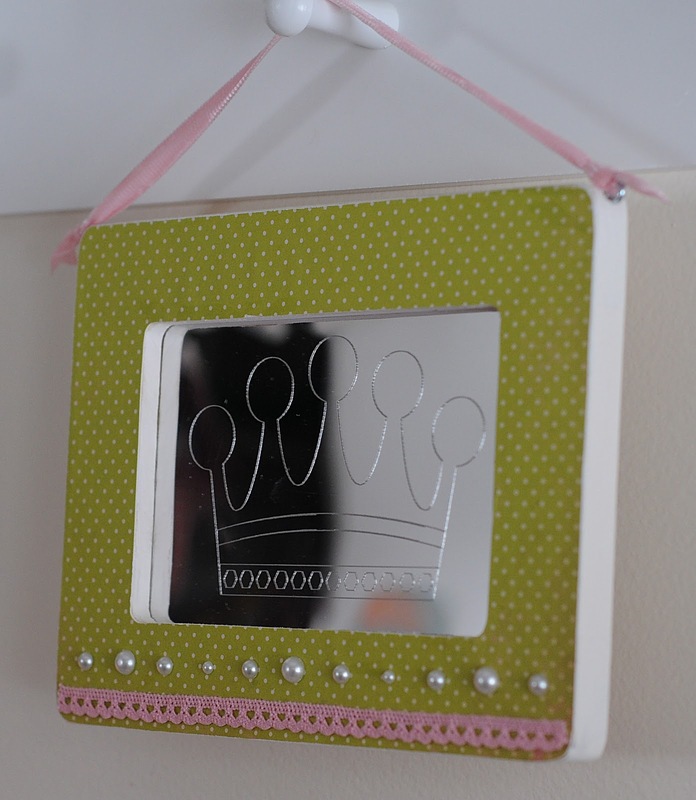 Then I added some ribbon and pearls to the front of the frame. 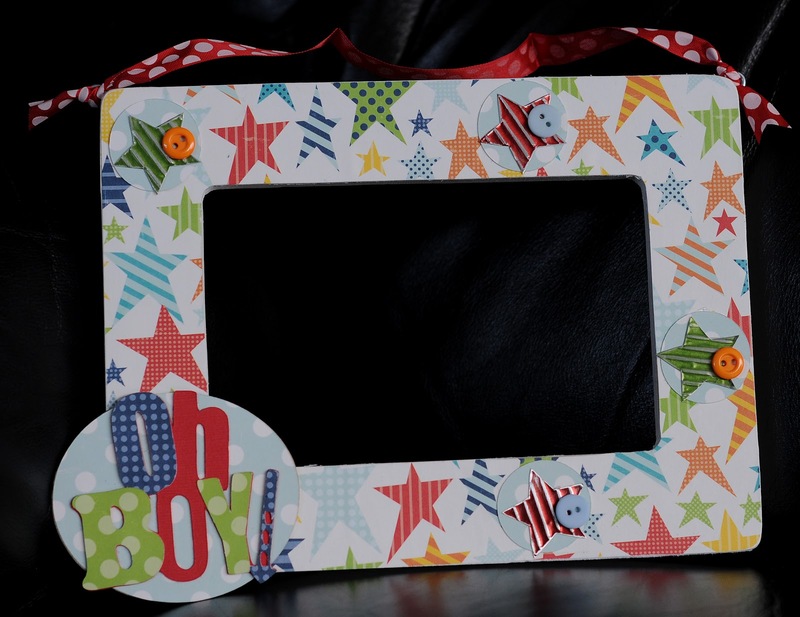 I used screw eyes in either top corner of the frame to hold ribbon to hang the frame from. 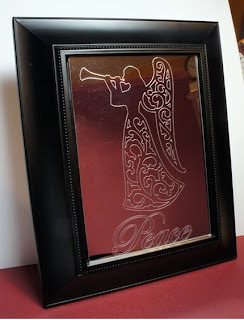 Then I took the piece of plastic mirror, put that on a very sticky mat (I removed the protective piece from the top of the mirror AFTER it was on the mat and ready to go, and set that aside), and used the Chomas Creations engraving tip on MAX with a multi-cut of 3. When it was done I put the protective piece back on the mirror to protect it from getting scratched until I was ready to put it in the frame. Very simple, but fun project! My daugther LOVES it! 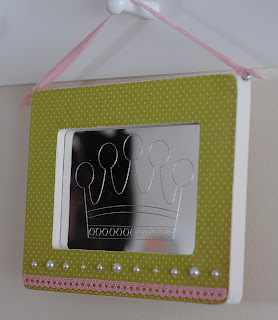 Of course it is near impossible to get a good photo of a mirror! Winner chosen for the Chomas Creations mini gel pen holder and gel pens! Sooooo cute! Can't wait until I can be this creative. I too am now a follower. Congrats Janet! You are the winner of the Chomas Creations mini gel pen holder and 10 gel pens! 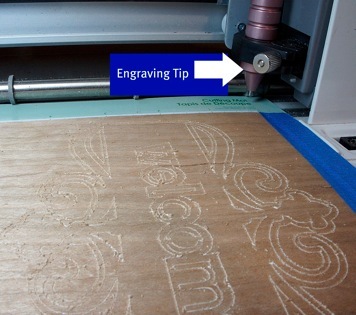 Maria is at it again with the Chomas Creations engraving tip! 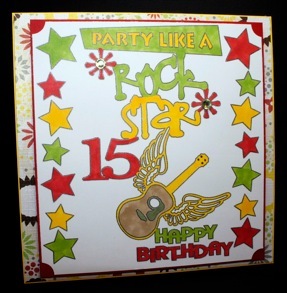 Maria over at Believe Dream Create created this amazing plaque! Wait till you see it! She never fails to amaze me! 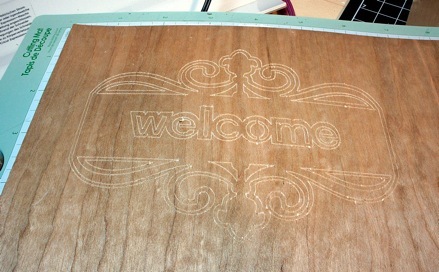 These are Maria's directions on how to make the plaque below! When I got it the color I liked I added some final touches with a Pink Souffle pen, some Prima ribbon and Prima mini flowers. Instant sign! And the moment you have all been waiting for! Here is Maria's sign! How amazing is that??? If you want to leave Maria some love, visit her blog... Believe Dream Create She is always up to something over there! And it is all good! 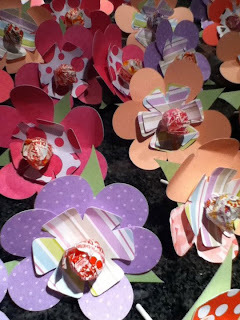 Love is in the air blog hop day #2!!! 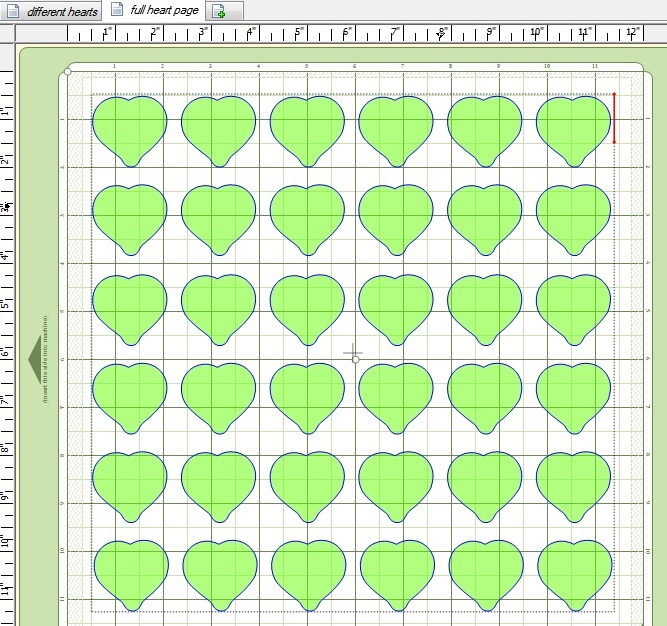 I made files for the scallopped heart, and for the normal heart that you could cut out, and then stamp on. 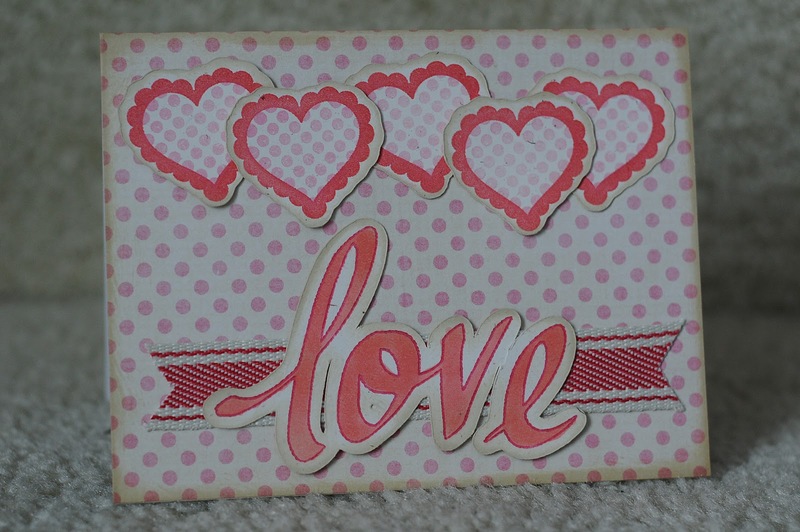 I used the scallopped heart for this card, I cut out a dozen or so of them. 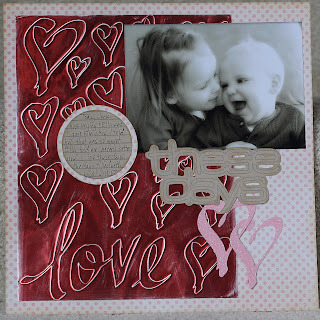 I then used the scallopped Artsy Heartsy stamp to stamp in red on my paper. Then I used the polka heart shape to stamp on the inside. The funny thing is I already had pink polka dot paper for my heart background so this worked perfectly!!! 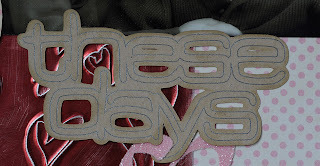 The "love" was a design I made using my Wacom tablet with MTC, that I will be sharing soon! I used the Chomas Creations mini gel pen to draw the word "love" then used the shadow feature in MTC to cut around it. I then colored it in with the Copic markers. I used an ink pad to age all the edges of my hearts and love word as well! **Closed**Leave a comment on this post below for a 2nd chance to win a Chomas Creations mini gel pen holder and 10 pack of assorted Chomas Creations mini gel pens! If you haven't already, you can leave a comment on the blog post below with my love layout for another chance to win! The rules are simple, only one comment per person! Following is not required, but why not follow? hehe I do need a way to contact you! Very important! I will leave the winners name on my blog as well after I pick it on Saturday, and you have a week to get back to me, or I will pick another winner. Next and last on the hop is Samantha at Scrapmaster's Paradise so hop on by! She has some awesome stuff in store for you! 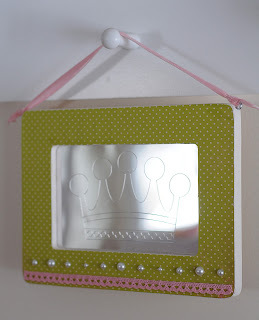 And again, if you haven't started with Amber at Staying Crafty head there now for a great challenge! I also have the Chomas Creations mini gel pen holder with 10 mini gel pens for $27.50 shipped in the US, or with all 20 gel pens for $32.50 shipped in the US. In case you got lost anywhere along the hop, here is a list of all the blogs on the hop! Amber from Staying Crafty told me she was going to do a blog hop in honor of Samantha of Scrapmaster's Paradise, and how could I resist? Samantha is newly married!!! 1-11-11! Congrats Samantha! So when you stop by her blog after mine, send your congrats to Samantha! If you have come from Sea Steph's Creations, you are in the right place! If not, you can start at the beginning of this blog hop with Staying Crafty cause you aern't going to want to miss a blog on this hop! Lots of great inspiration and give aways! And the grand prize of the hop is going to be 2 sets of your choice of the SP and Company stamps! There is also a challenge at the beginning of the hop with Staying Crafty! All of the blogs on the hop are listed at the bottom of this post! Come back tomorrow to see another project I've done with the Artsy Heartsy stamps and the MTC file! 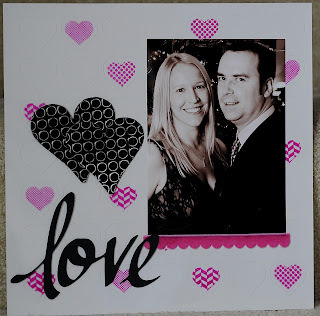 I used the full heart page for this layout, and used the Chomas Creations engraving tip in place of the blade to engrave or etch onto a clear sheat of Grafix 12x12 plastic. It is thin like a transparency. I then took the SP and Company Artsy Heatsy patterned stamps with StayzOn to randomly stamp inside some of the etched hearts. Click on the picture to view it even better. I added the plastic sheet on top of a white piece of cardstock, hiding the double sided adhesive behind my photo. I then used Zip Dry to adhere the ribbon under my photo. Zip Dry works fantastic with ribbon and you can't see it after it dries. I used Make-the-Cut for the word "love" which I drew with my Wacom tablet and I will be sharing at a later date on my blog. Click on the picture to view it even better. I will admit to keeping scraps, all kinds of scraps, ribbon, paper, and now metal sheets of scraps. 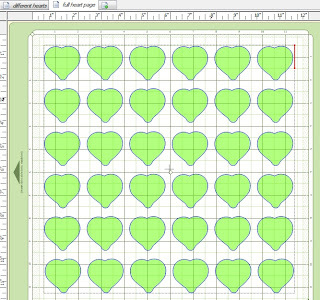 That is how I made the hearts on my page, more details on the hearts are right below this blog post. 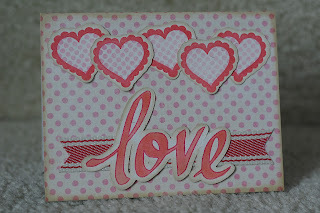 I used the Chomas Creations embossing kit on Ten Seconds Studio's metal sheet for these hearts. 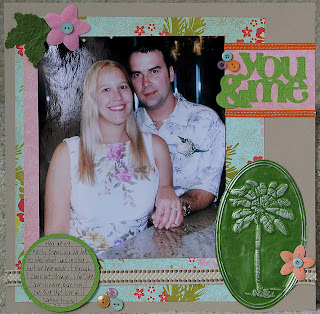 Here is the completed page with my and my hubby! Again click on the picture to see even more detail! **Closed**Well if you have read this far, here is your reward, hehe! Leave a comment on this post below for a chance to win a Chomas Creations mini gel pen holder and 10 pack of assorted Chomas Creations mini gel pens! The rules are simple, only one comment per person! Following is not required, but why not follow? hehe I do need a way to contact you! Very important! I will leave the winners name on my blog as well after I pick it on Saturday, and you have a week to get back to me, or I will pick another winner. Love is in the air blog hop!!! Assorted colors of micro Sharpies available!